Firstly, this isn’t a review. This is simply a tribute to a brilliant performance. It was like journeying back to my childhood. Back then, the concept of a circus included clowns, animals jumping through hoops, tightrope walkers and my favorite: the flying trapeze. 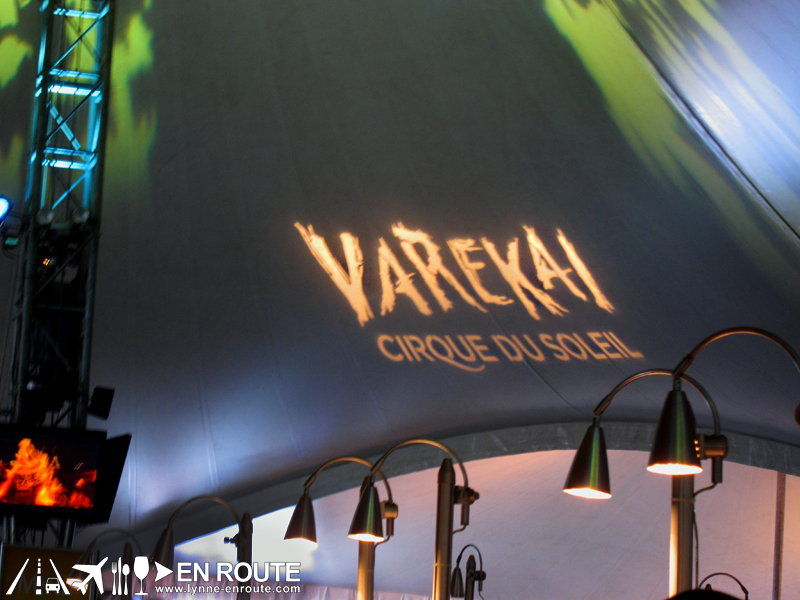 More than a decade after, the Quebec-based company, Cirque du Soleil brings us one of their many masterpieces when it comes to theatrical performances: Varekai. Literally meaning “wherever,” Varekai presents to you an extraordinary world tucked away in some hidden and enchanted forest. 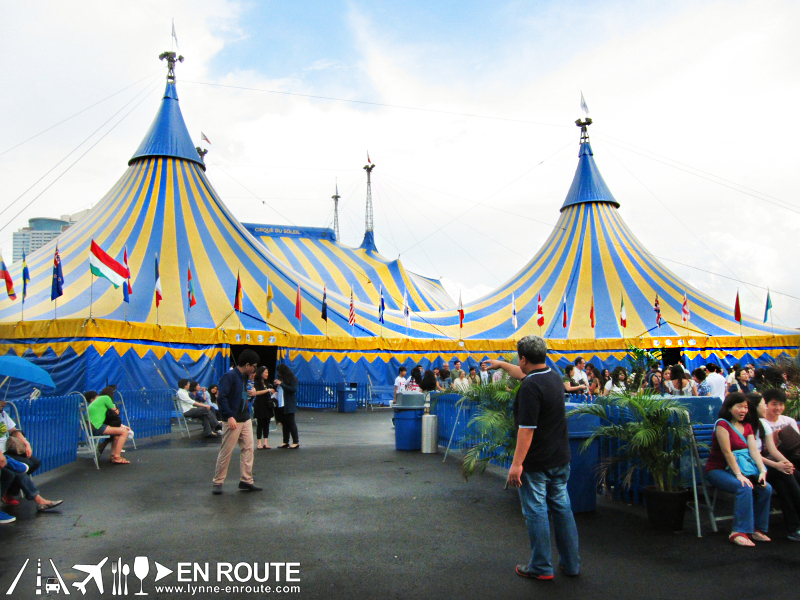 Cirque du Soleil, taken literally means, “Circus of the Sun.” It was a whole circus experience and so much more. 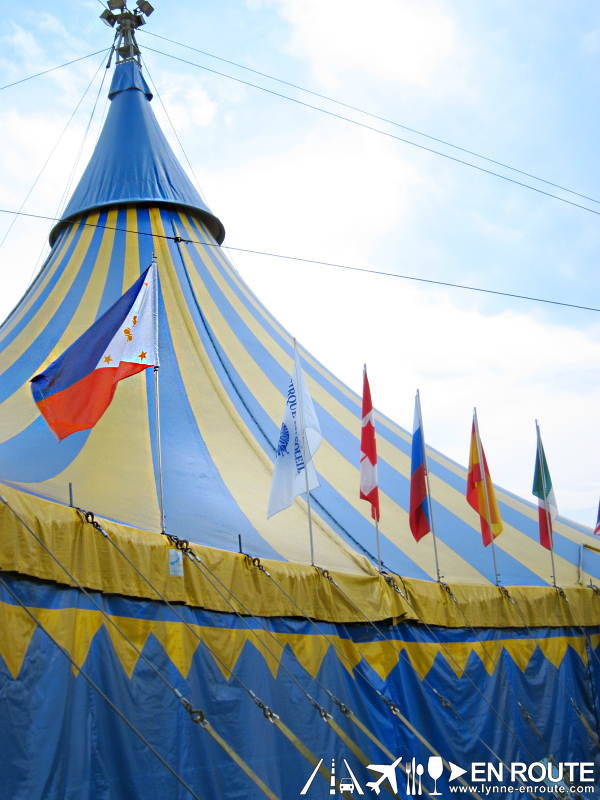 You won’t feel cheated from what you know circus to be: the fanfare, the color, the drama and excitement are all there. Be prepared to be on the edge of your seat and holding your breath the entire time. We’ll definitely be on the lookout for succeeding shows! We weren’t allowed to take pictures inside the big tent! That’s why it’s all we have. 😛 I think they don’t allow it because it distracts the performers.